Home › Home and Kitchen › Essence Digital Kitchen And Food Scale Silver And Blue - 100% No-Hassle Repla..
A modern, stylish tempered glass digital scale. 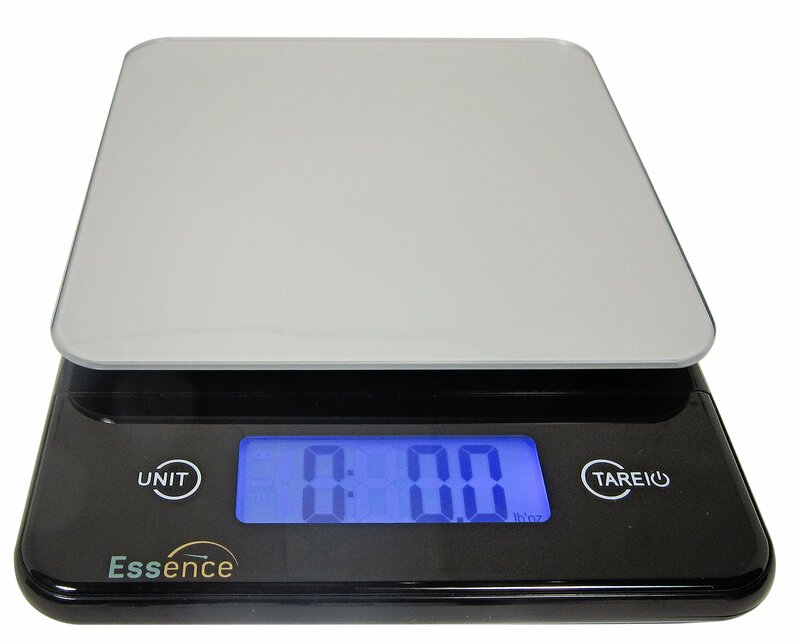 This scale has elegance and grace and serves all of your kitchen and household weighing needs. Runs on 2 AAA batteries (included) with an easy-access battery compartment (no tools required). Color: Silver GUARANTEED TO IMPROVE YOUR COOKING EXPERIENCE WITH OUR ESSENCE KITCHEN SCALE Our digital kitchen scale is designed to be sleek, stylish, accurate and robust - Carefully designed and built With Premium Materials and beautiful tempered glass - Supports the serious cook in all of his kitchen cooking needs - Tempered glass prevents the absorption of any bacteria - Built with the most accurate digital scales to give your precision down to the gram - Designed to handle up to 11 lbs(5 kgs) in capacity - Our Large Backlit LCD screen makes reading very Easy - ESSENCE scales also features a handy Tare button which automatically subtracts the weight of any bowl or container to calculate the net weight of your ingredients. Who Needs our Essence Digital Scale? - All cooks who love scratch cooking and need a beautifully accurate weighing companion Inside Package - 1 ESSENCE Kitchen scale - 2 AAA Batteries Our Guarantee We are so confident in our ESSENCE Digital Kitchen Scales that we offer a 5 year free no-hassle replacement guarantee Click the Add to Cart Button at the Top of this Page to spice up your life!